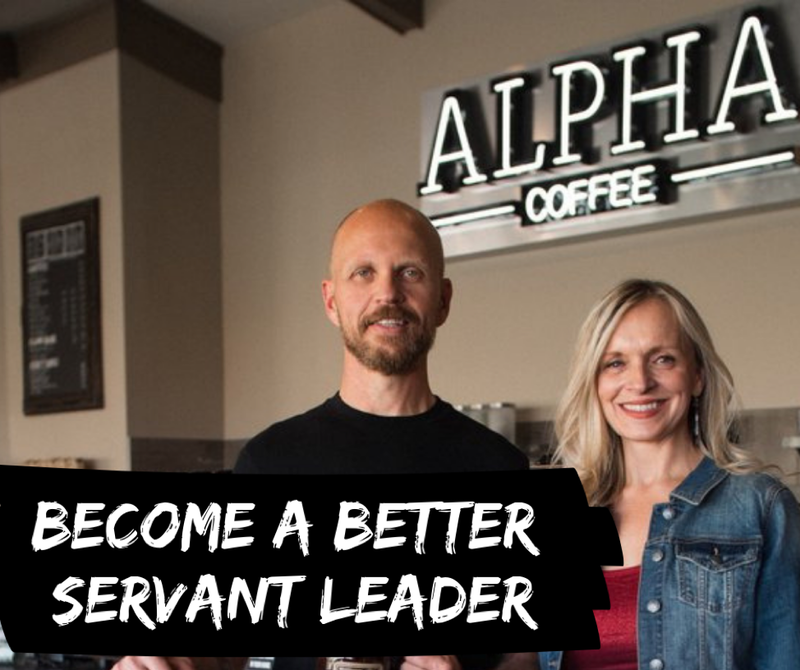 Alpha Coffee is a one-of-a-kind, purpose-driven company that delivers great coffee, great people, and a great mission. The company was born out of co-founder Carl and his wife Lori’s passion for great coffee, a strong commitment to a warrior lifestyle, and their unwavering support for the military community. Today, that same, strong motivation is visible in every cup of coffee they sell and their company culture, which I was able to experience firsthand on my visit to Salt Lake. In a candidate’s market, how can a purpose-driven company attract and hire the right people? For Alpha Coffee, this required taking a step back and identifying the characteristics that the top baristas had. In doing so, they uncovered what really made those team members so great. The aim: knowing more about what those traits and characteristics looked like so that they could identify them in candidates during interviews with potential new hires. “The bottom line is that for us, one of the most critical skills was being personable and being able to connect with customers quickly. Lucky for us, the interview process is such that you can easily evaluate this,” explains Carl. They also stopped hiring based on coffee experience. Instead, they focused on hiring based on personality, social skills, demonstrated ability to learn, and work ethic. Another key tip: They found that their baristas were the best source for finding people like them. “They have referred others who were like them and we have had a lot of success building a strong team that buys into our culture that way,” explains Carl. Once you hire the right people, keep in mind how most of them (in particular younger generations) aren’t going to stick around when all they are getting is a paycheck, says Carl. That’s why Carl takes his role as a leader very seriously in that he seeks to help teach employees about business and life in general. In other words, he focuses on ways he can help develop the person in their entirety—not just on the job or at work. “I talk to them about—and more importantly demonstrate with my own actions—how to save money for their future, how to set goals and take concrete steps to achieve them, how to be disciplined in your daily life, how important it is to be kind and honor experience and achievement rather than celebrity, and a number of other things. They all know they can come talk to me about life and career questions and advice,” says Carl. Talk to Carl and you quickly see how he’s a values-driven, authentic, genuine leader who cares deeply about his people. He believes there are a few key things that result in effective leadership within a purpose-driven organization. First, you have to truly care about those you are leading, and you have to be authentic in that. Otherwise, why should people follow you or be willing to sacrifice for you? Second, he believes in a servant leadership approach. “My job as your leader is to do what I can to make your job easier—not easy as in not hard or encouraging a lazy attitude, but easy in terms of removing obstacles that are preventing your success. And cutting out the stupid, unnecessary stuff,” he says. That’s not always financial rewards, either. It could be better or increased benefits or something else that’s considered a benefit or reward. “We offer things to our team that they value, like gift certificates to nice restaurants, movie tickets, event tickets, and more.” The result is that people feel like they are contributing in a meaningful way, and they feel rewarded for all their work and impact. How Much Value Are You Adding to Others? Small Giants leaders are servant leaders who take pride in growing people and growing communities. Alpha Coffee and Carl Churchill are examples of just that. If that sounds like the kind of leader you strive to be, we invite you to attend the next Small Giants Executive Breakfast interview of Joe Motz, CEO of The Motz Group. We’ll be taping into the heart and soul of leadership with an in-depth, personal interview of Joe as part of our 2018 Small Giants Series, brought to you by the Entrepreneur’s Organization. Learn more and register here.